We all need a day to relax and pamper ourselves without a lot of fuss. More than just a bath, more than a long shower, we need to set ourselves up for a day that feels like we are in a fancy spa. But with kids at home and back to school season in full swing, it can be hard to take that time. When you can find that hour in your day to put the kids in front of a movie and escape in your own little world, you should really pamper yourself! 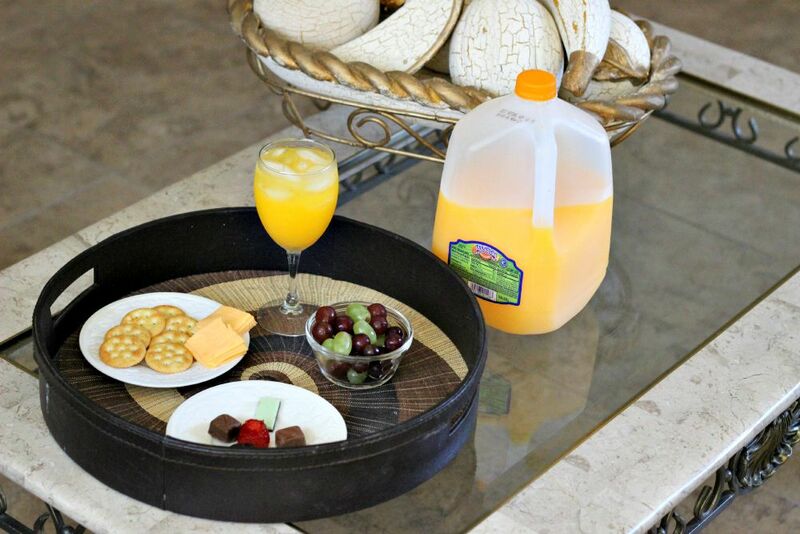 With Tampico juice and some household snacks, you can add some fancy to your day with ease! First and foremost, draw the bath. Add some fancy bath salts and relax in the wafting aroma of your favorite scent. While the warm water is running, go to the kitchen and grab a serving tray, wine glass and some snacks. 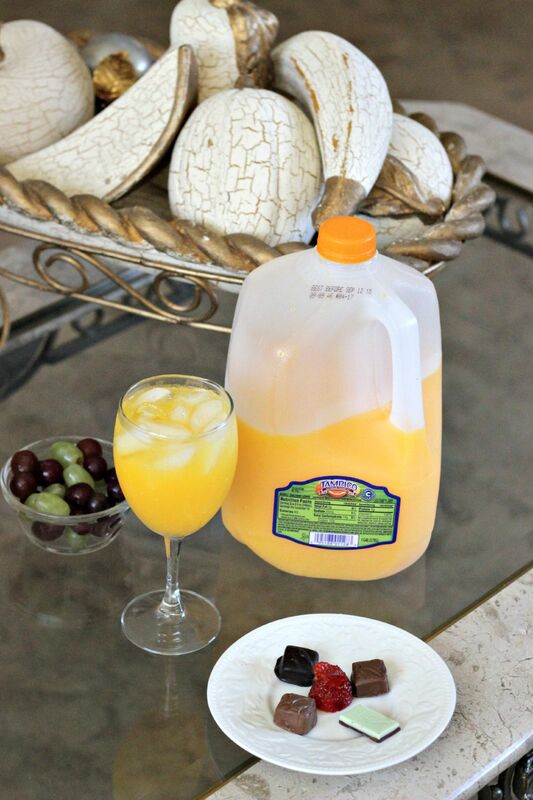 Add ice and your favorite flavor of Tampico Juice or Tampico Tea to the glass. Once your ice cold, refreshing glass is ready it is time for snacks! Think about the things you would find in a high-end spa. Fruit, chocolate, cheese and crackers and more. I found some sandwich cheese and snack crackers, grapes and some store bought chocolates in my pantry. Pulling out some of my pretty plates, I arranged the cheese and crackers to be appetizing. I then plucked the green and purple grapes to make them colorful and added then to a bowl. Adding to the charm of the tray, I opened snack sized chocolates in different hues and added them to a pretty plate. I put a strawberry in the middle for added color! Once my tray was done so elegantly, it was time to take it to the bathroom, lock my door and sink into my warm, bubbly tub. With refreshing juice in hand and snacks at my finger tips, I really felt like I escaped into an oasis for myself. Baths only last so long though so make sure you have your favorite nail polish available to paint your nails and give yourself a manicure and pedicure when you are done. It is amazing what a little tray of food and drink and a few minutes away to relax can do to recharge you for the day! How would you enhance your spa day?